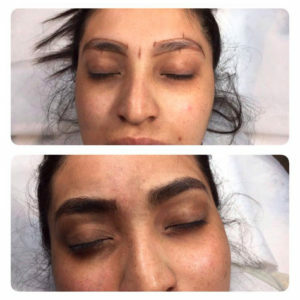 If you’ve tried every pencil, powder, pigment, gel, and stencil and your brows are still off fleek, microblading is the last-ditch-effort treatment that promises to change your brow life. 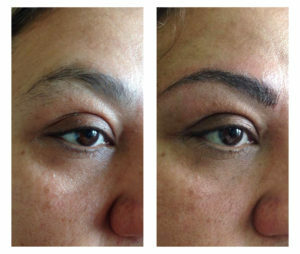 Phibrows is a manual semi-permanent eyebrow drawing. The shape of the eyebrows is calculated according to the golden intersection (phi 1.618) and face morphology. The pigment is applied into the surface layer of the dermis using sterilized and disposable tools. The pigment is chosen to match the natural hair or eyebrows’ colour. After the healing, the colour may become several hues lighter that the natural hairs’ colour. Strokes are always drawn in the direction of natural hairs’ growth to achieve hyper-realistic look. 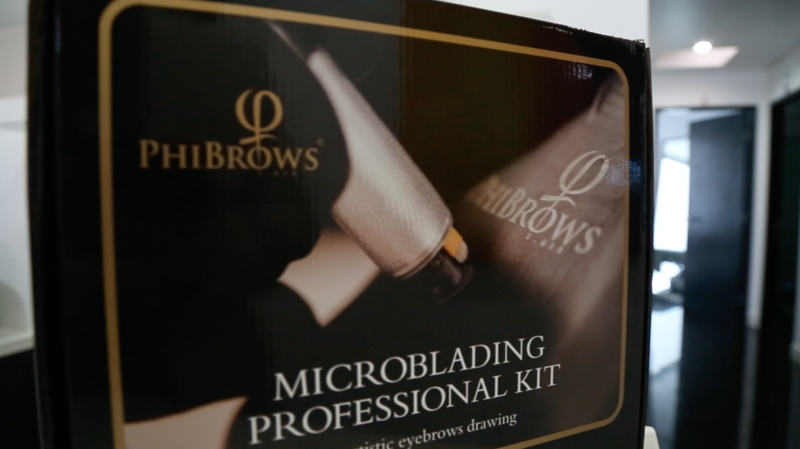 Pigments are produced in accordance with the highest standards (phibrows exclusive microblading pigments). Want to know more or feel ready to Schedule? Also the colour is extremely dark during the first 5 to 7 days. 7 days later, it loses 40 to 50% of its intensity. If you think the colour is too dark, do not try to remove it yourself by no means. Patiently wait 7 days for the colour to fade on its own after the healing of the skin. On average, expected time until a new colour refreshment is between 10 and 12 months. 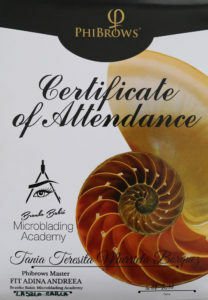 With oily skin it can be up to 6 months. If you drink a lot, take aspirin, or use retinol, stop one week before your treatment. Retinol can make the skin thinner and then you could bleed a little more. So is better to avoid blood thinners, aspirin, and alcohol. 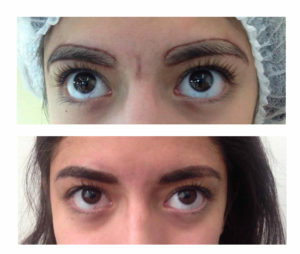 – You do have existing old permanent make-up on your eyebrows. Pain is relative. “Some feel more than others. Overall it feels like little scratches. You feel it, but it’s not unbearable. 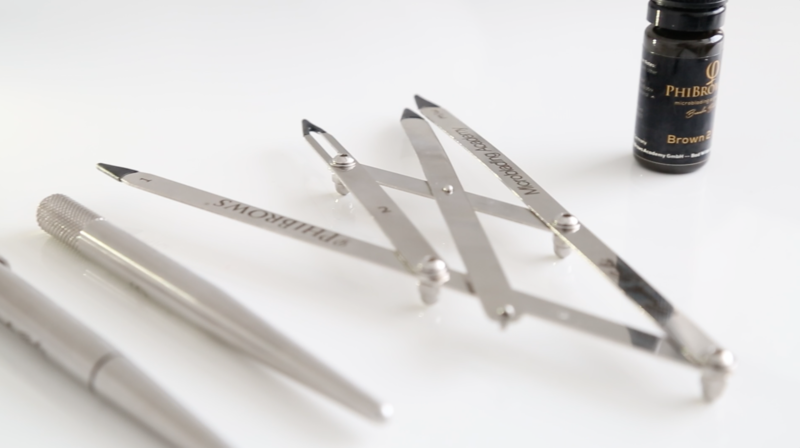 That means protecting freshly bladed brows from all moisture–no sweaty workouts or washing your face with water. Some itching and redness is expected during the first week, which vaseline can help to alleviate. The first treatment can cost from $499 dlls. That’s about 40 to 50% lower than prices in the US!